I think found FarmCrowdy around 6 months ago, when I was looking for an invest-and-wait opportunity (aka MMM style – but one that was legitimate, and actually used my money to do work). I reached out to the team, and they were very courteous and responsive, and I was able to gather enough information to put this post together. Incidentally, I was just editing this post for publishing today when I read on TechCrunch that this same FarmCrowdy just raised $1m investment from international investors. If you needed any further validation that these guys are legit, there you go. This is a company with names, faces and people on the ground inspecting farms and making sure that your money works for you. This is a synergistic business model that actually benefits someone that puts food on tables, and benefits you for benefiting them. Farmcrowdy is making it possible for Nigerians to invest in farms and get tangible returns of up to 25% on their investments. In this post, we’ll be exploring how to invest using Farmcrowdy’s platform. So what is Farmcrowdy and what do they do? Farmcrowdy is an agri-tech company that is revolutionizing how farming and farm financing is done in Nigeria. Farm financing is a perennial problem affecting local farming in Nigeria. One that has been the source of numerous government programmes in the past. 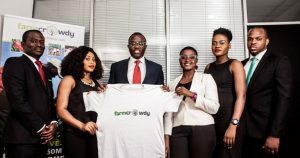 Farmcrowdy seeks to solve the problem of farm finance while giving every Nigerian the opportunity to be a part of the ongoing agriculture revolution. They do this by connecting farmers with sponsors. At the end of the farming cycle, proceeds are shared between sponsors, farmers and Farmcrowdy. Investing in a farm with Farmcrowdy is as simple as signing up on the website or through their mobile apps. After signing up, you choose which farm(s) you want to invest in. Payments is done online via ATM or physical bank payments. Farms on Farmcrowdy run for cycles of months. This cycle ranges from 5 – 12 months with varying ROI which can go as high as 25% on select farms. The lowest yield I saw when I checked the ‘farm shop’ was at 17% for 5 months. Farmcrowdy has a variety of farms in the farm shop. Apart from crop farms that cultivate maize, rice, cassava, there are animal farms such as poultry, and other livestock. Sponsors are those who have invested in at least a unit of a farm. They are entitled to proceeds from the farm at the end if its farming cycle. Sponsors can also physically visit the farms they are investing if they choose to. Followers can follow the progress on any number of farms on the farmcrowdy platform. Following requires no financial commitment but only to sign up. Followers are not entitled to proceeds from farms. Farmcrowdy provides sponsors the opportunity to see first-hand their investments. So If you wish to visit the farm you’ve invested in, you signify interest to do so at least two weeks before the date. The Farmcrowdy team will schedule the best possible date for you. In my opinion, this is a nice perk to boost investor confidence. 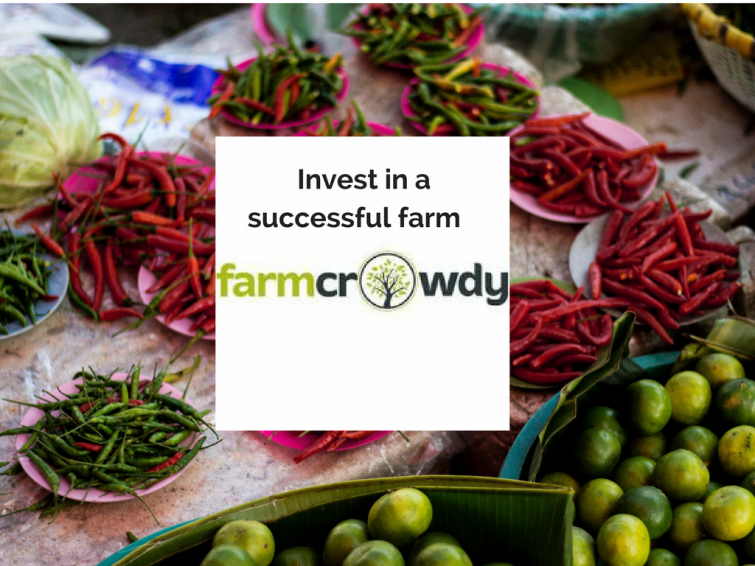 Farmcrowdy is not just investor-focused, they also work with farmers to ensure maximum returns. To make good on their promise to generate returns for you, the investor, the farms have to actually produce something tangible. Farmcrowdy has a working partnership with Agricultural Services Training Centre, Vom, Plateau State, and Syngenta (a world power in the agriculture sector ) and Notore seeds. These and an in-house team of experts are there to assist farmers use the most recent trends in farming and farming technology. I imagine this question has been ringing in your head. What exactly happens to my money if the farm fails to meet expectations? well, you have no worries as Farmcrowdy farms are insured against mishaps like this. There’s one caveat though: this insurance covers only your initial capital and not plus your expected profit. Farmcrowdy may be barely a year old but it seems to be doing something right. This is why it’s won multiple awards even in this short time. For a 25% return on some investments, I dare say that Farmcrowdy beats investing in treasury bills. Though there’s the argument of lesser risk with the latter. In any case, Farmcrowdy is a nice channel to explore if you want to go invest in agriculture. You can sign up today at their website to check out how it works and see the farms available for investing.